(SPOILERS) The Hughes Brothers’ projects weren’t quite gelling for a while before they decided to pursue solo careers. Gravitating towards more commercial properties, the resulting From Hell and The Book of Eli both have their merits but bear the signs of studio interference/ compromise (Alan Moore’s labyrinthine, involved comic book reduced to a sketchy shell) and a script that wasn’t quite there respectively. Allen’s first solo feature was the clumsy Broken City (both in screenplay and performances), more than half a decade ago, and now Albert finally follows him with Alpha, taking him from Eli’s post-apocalyptic landscape to a prehistoric one. And it’s pretty good. Hughes has opted for a more “authentic” account of stone age man than Roland Emmerich’s batshit crazy 10,000 BC (one thing you cansay for it is that it breaks the curse of dull Stone Age man movies), choosing to chart a classic coming-of-age story via the relationship between a boy and his dog. Man’s first domesticated hound, quite possibly. Hughes gets the story credit (Daniele Sebastian Wiedenhaupt furnished the screenplay) and keeps things simple; what dialogue there is is subtitled, and most of the action relates simply to survival in an unfriendly environment. Indeed, Keda (Kodi Smith-McPhee) is characterised from the first as too sensitive for harshness of a predatory ice age. Which is lucky, as there’s no way you’re going to get Smith-McPhee playing other than a slightly wet beta-type (he’s the Lukas Haas of his generation). If you can get past his looking like he’s had hair and costuming done for a fashion show, though, he brings the necessary conviction to his relationship with Alpha (Chuck, a German Shepherd-wolf cross known as a Czechoslovakian wolfdog; Hughes has resided in the Czech Republic for the last decade and a half). As noted, these Stone Age folk sport very stylishly tailored leatherwear, complete with plush hoodies; doubtless there’s a whole raft of Stone Age sweatshops just offscreen. Alpha is very glossy and stylised generally, though; cinematographer Martin Gschlacht ensures the vistas are striking throughout (how many glorious sunsets were there during the last ice age?) The CGI is more variable, but mostly gets a pass since the focus is on actually present protagonists. Jóhannesson (Noah, Atomic Blonde) makes a strong impression as a dad struggling with making the right decisions for both his tribe and son (there’s a great moment early on when he scoops up a handful of bison poo like its manna from heaven). Morgan Freeman provides an utterly unnecessary bookend voiceover and compounds the sin by sounding borderline comatose. Hopefully, Hughes will get another project off the ground sooner rather than later (he has a remake of Spanish film The Fury of a Patient Man lined up); the not to be undervalued skill he evidences in Alpha is making a deceptively simple, tried-and-tested tale resonate. I was confused by the mention of Freeman; looking into it, apparently in some non-US territories the movie had his narration. It wasn't present in my screening or, at least in the feature film, on my blu ray. 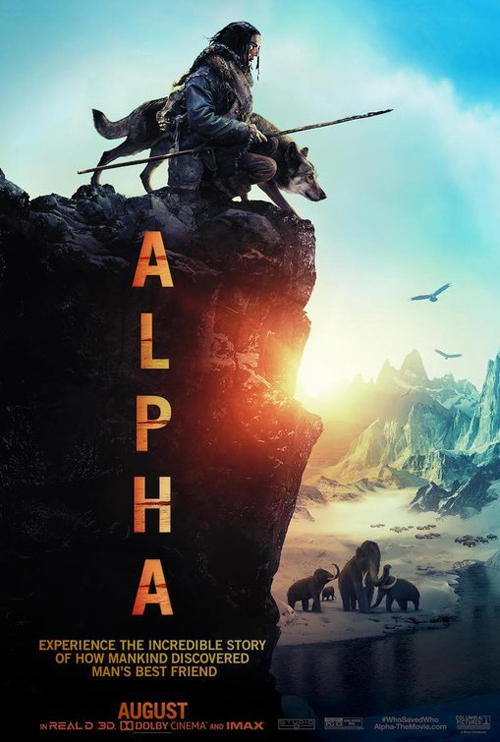 Anyway, love Alpha--genuinely one of my favorite films of the year, and I never expected a caveman movie to do that (it's especially impressive considering what a good year it was). Glad you liked it. That makes a lot of sense re Freeman; it felt very last-minute and tacked-on.